and fostering a sense of social responsibility. That's why, at the Y, strengthening community is our cause. Every day, we work side-by-side with our neighbors to make sure that everyone, regardless of age, income or background, has the opportunity to learn, grow and thrive. Our cause is to strengthen community through youth development, healthy living, and social responsibility. The YMCA has been shaping character and adhering to Christian principles, positive values and conduct for more almost 200 years. In 1821 George Williams started the first Young Men's Christian Association (YMCA) in London, England to substitute Bible study and prayer for life on the streets. Over the next 188 years the YMCA has evolved into what it is today; influencing the lives of millions throughout the generations. As the YMCA has grown and developed throughout the years, the one steady principle throughout the history of the organization has been its dedication to Christian values and the idea of fostering, preserving and advancing the Christian purpose. This principle has been a constant for generations and will continue into the future. Focusing on character development is main stay of Y programs. Character Development gives us the ability to meet our mission. By holding ourselves accountable and building character around our core values Caring, Honesty, Respect, and Responsibility we build healthy spirit, mind, and body for all. Caring: to demonstrate a sincere concern for others, for their needs, and well-being. Related values: compassion, forgiveness, generosity, and kindness. Respect: to treat others as I would want them to treat me, to value the worth of every person, including myself. Related values: acceptance, empathy, self-respect, and tolerance. Responsibility: to do what is right, what I ought to do, to be accountable for my choices of behavior and actions and my promises. Related values: commitment, courage, good health, service, and citizenship. The Twin Pike Family YMCA is a not-for profit, charitable organization that was incorporated in 1994. 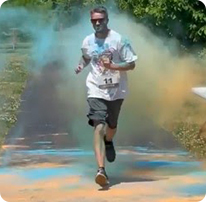 The organization focuses on the personal, spiritual and physical development of individuals living in northeast Missouri and west-central Illinois. It is an independent YMCA, governed by an independent board, which holds its own corporate charter and has its own bylaws. The Twin Pike Family YMCA is a certified memberof the National Council of Young Men's Christian Associations of the United States of America. 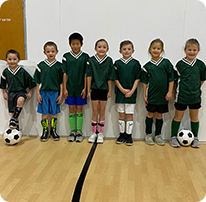 Our YMCA is governed by a member-appointed, volunteer board, and strives to mirror the geographical and demographical makeup of the communities it serves. 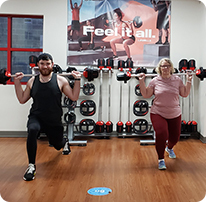 Since 1994, the Twin Pike Family YMCA has been providing health and wellness services to the rural communities in and around Pike County, Missouri and Pike County, Illinois. The organization has grown over the past twenty years by developing new programs and services that meet the needs of the communities we serve. The YMCA is closed on New Year's Day, Easter, Memorial Day, July 4th, Labor Day, Thanksgiving Day, Christmas Eve half-day, Christmas Day and for one week in July to perform necessary cleaning and maintenance. As the leading nonprofit for youth development, healthy living and social responsibility, the Y is always looking for talented people to help us make our community stronger. 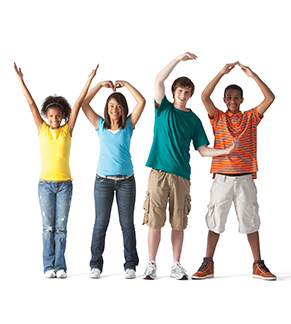 The Y enables youth, adults, families and communities to be healthy, confident, connected and secure. Working at the Y is rewarding, and affords the opportunity to make a positive difference in the lives of others. We have both full-time and part-time hourly positions. All employees have the opportunity to learn and grow through training opportunities. We offer great benefits to full-time staff. If you would like more information, please contact the Y at 573-754-4497.